Anonymous, French; Gregorian Chant; Josquin Des Prez. Very Good. In very good packaging. 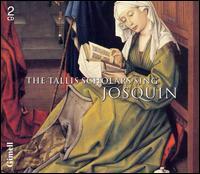 Tallis Scholars-Tallis Scholars Sing Josquin by Tallis Scholars. Anonymous, French; Gregorian Chant; Josquin Des Prez. New.